Saab ANA in Trollhattan completed assembly for the last 47 Saab convertibles in February 2012. They were left on the assembly line after the factory was shut down in December of 2011. Thirty seven of these convertible were the limited Independence Edition that was introduced almost exactly a year ago during the Independence Day celebrations. These Saab 9-3 convertibles (or cabriolets as they are called in most of Europe) ranged from 250.000 to 600.000 kronor in Sweden (28.000 to 68.000 Euro). Some of them were exported to other countries and left-hand and right-hand drive models were produced. 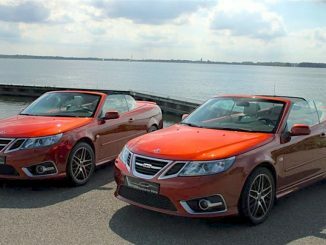 Magna Steyr in Austria used to build the second generation Saab 9-3 convertible until production was moved to Trollhattan in January 2010. 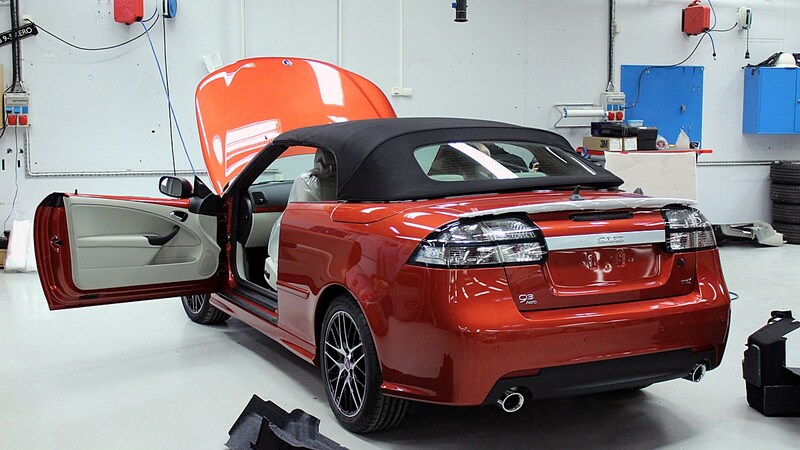 The Trollhattan factory produced these soft top Saabs for part of the 2010 and the entire 2011 model years. The regular Saab 9-3 sedan, 9-3 sportcombi and Saab 9-5 were all made on the same assembly line. 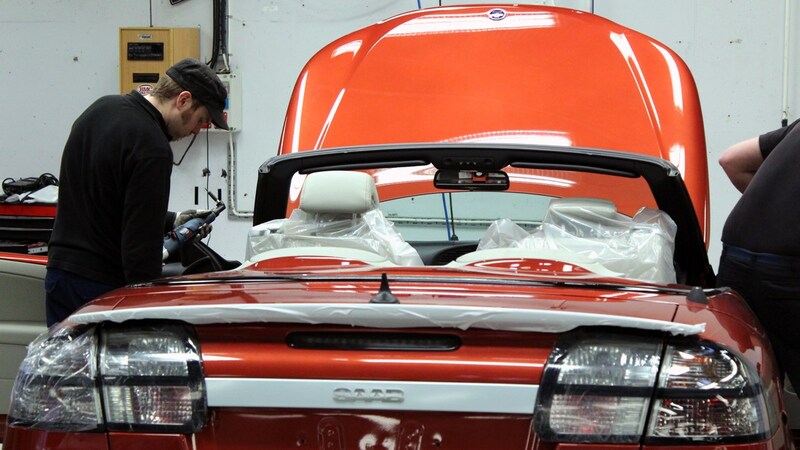 One of the assemblers who finished these last convertibles was a former Saab employee who worked at Saab for 20 years. Saab ANA CEO Joachim Lind said it was great privilege and honor to be able to finish assembly for these unique Saabs. That is pretty cool. Those cars will be worth a pretty penny in the future! Didn’t like that color until I saw one in person. Striking and quite different from the 92 shades of silvery gray found on most cars today. They didn’t respond to my e-mailed inquiry about whether any of them are U.S. spec. If it doesn’t have the two required safety and emissions sticker, it cannot be imported, at least by a normal consumer. Rumor is that all left hand drive cars have been sold. Not a big loss in my opinion since I am not too interested in a convertible as much as a hard top. I want that TTID Independance Edition Vert – how do I get it here in the states. Thats all folks, I am deeply saddened. These cars might qualify as an answer for a future trivia contest. 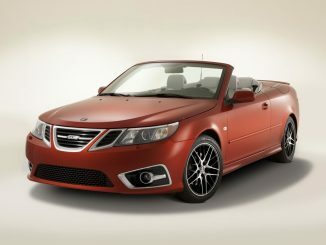 Where were Saab 9-3 convertibles (2004-2011) built? Answer: Magna (Graz, Austria), Saab (Trollhattan), and ANA (Trollhattan). I assume these are 2011 models and there are no 2012 models? I wonder if the workmanship is better or worse? Better in that the pace is slow? Worse in that the normal procedures are not in place so are things crooked or overtightened or parts old? Wouldn’t it be nice if these were only the last of the independent Saab cars, but not the last with BMW-Saabs on the way? Independance Edition #20, a BioPower Automatic, is being sold in Germany.